CHELTENHAM, England – Douvan, a top steeplechaser under trainer Willie Mullins, will run again this season. After taking a break from the previous seasons to recover from its defeat, Douvan will finally race at the prestigious Cheltenham Festival 2018. Douvan’s top competitor and trainer Nicky Henderson’s returnee, Altior, will also gallop this year. Trainer Willie Mullins and the owner of the 8-year old Thoroughbred, Rich Ricci have high hopes that Douvan would make its appearance at Cheltenham’s major horse racing events on March 14–15, 2018. It is months after the bay gelding superstar sustained pelvic injuries from its defeated run at the Queen Mother Champion Chase. Willie Mullins and Rich Ricci said Douvan’s lameness went reoccurring and they didn’t know if it was due to one of the Thoroughbred’s past injuries. Accordingly, the vets told them to brush-off Douvan in all upcoming events. Thus the Thoroughbred was ruled out at the Tingle Creek Chase. But fate has its ways of changing things as Douvan is becoming healthy just like before. The 8-year-old steeplechaser underwent hiatus to take on a conservative approach to his recovery. Ready your bets because this Cheltenham Festival 2018 will be Douvan’s comeback. Douvan will have two or three critical bits to do before Cheltenham Festival 2018, probably away, at one of the racecourses in Ireland. It wouldn’t be a big racecourse gallop, and of course, there is always the Leopardstown jumping thing they do two weeks before the big event at Cheltenham. Douvan had an excellent track record before the unfortunate incident. It had nine wins out of ten chases, five wins out of six hurdles, and fourteen wins out of sixteen rules races. Douvan’s total winnings for each of the three categories are £370,575, £148,956, and £519,531 respectively. Douvan first appeared at a hurdle race in 2014 at Saint-Malo, France, where it finished second place. It also joined and won the Supreme Novices’ Hurdle at Cheltenham Festival in 2015.The horse was then transferred to the steeplechase category and won all six races and the Arkle Challenge Trophy as well. Douvan is not the only one returning to the race, because Altior, a 7-year-old Irish-bred Thoroughbred, is also coming back for this event. Altior is a gelding bred of Nicky Henderson in Berkshire, Ireland, with High Chaparral as its sire and Monte Solaro as its dam. It was acquired later by Patricia Pugh in an auction. Altior’s debut race was at Market Rasen racecourse in a National Hunt Flat. Altior won and continued to show its outstanding speed and agility in many novice hurdle races at the Chepstow racecourse. Altior also joined the Supreme Novice’s Hurdle at Cheltenham Festival and bagged the first place. Like Douvan, Altiorwon the Arkle Challenge Trophy Novice’s Chase at Cheltenham Festival several times. It won 12 out of its 14 races; however, Altiorwas ruled out at the Tingle Creek Chase after it experienced breathing problem. Its larynx did not open properly, and so it underwent surgery. The six-time Arkle victor took the last season of the year to recover. But Altior is now ready to race again at the Cheltenham Festival. Cheltenham Festival 2018 is a United Kingdom-based National Hunt Racing event. It takes place at Cheltenham, Gloucestershire, in March and is particularly famous for Irish guests since it also happens on Saint Patrick’s Day. The festival has prize money, second to the Grand National horse race in England. It runs four days. As of counting, there are already more than millions of pounds gambled over the week. Although there is a 50-50 chance of Douvan’s comeback to the racetrack at the Cheltenham Festival 2018, the horse is on the list as an official runner along with Altior. Other listed contenders are Yanworth, Native River, Annie Power, Vautour, and Faugheen. Another interesting runner in this race is Special Tiara, the winner of Champion Chase to which Douvan lost. Queen Mother Champion Chase requires horses more than five years of age. 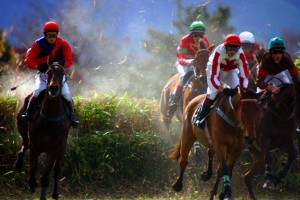 It is a Grade 1 steeplechase race under the National Hunt Racing category. It is the highlight of the second day of Cheltenham Festival 2018. Altior and Douvan are expected to headline the Betway Queen Mother Champion Chase among 30 other entries. The Cheltenham Festival 2018 betting season has started on various online betting sites as the listed runners are getting ready to perform their best for the event. There are high hopes for the past winners of the festival that are back to race again. Being updated on the runners for this season can help you make the choice of placing of your bets. With this, you may check out Cheltenham Festival expert betting tips for more updates on bookmakers and runners.